In a matter of weeks, Christmas lights will dot your neighborhood in the evenings. If the thought of digging through your storage to find tangles of cords and light bulbs causes you to shudder, it may be time to call in professional holiday lighting specialists. When you hire out your holiday lighting chores, you can spend time with your family instead of battling to get your house looking festive. Here's five benefits that a professional holiday lighting company will provide that will make this the best holiday season ever. 1. Custom Design. A professional design team member will meet with you to talk about your ideas for your holiday lighting. Your lighting should reflect your personality and taste, and then the design team will come up with a design that will do just that. In addition, they will consider your home when designing your lighting. It's important to take into consideration your landscaping, architecture, existing electrical infrastructure, and more. Your custom design will be made-to-order and perfect for your home and family. 2. Professional-grade Products. A professional holiday lighting company will use only the best professional-grade products for your holiday lighting designs. Professional-grade products are built to withstand both the elements and years of use. You won't have to purchase new lighting products year after year, when you install the very best. These products will look great for years to come. 3. Professional Installation. Put away that ladder and let the professionals install your lights. Experienced professionals don't put up holiday lights just once a year. They're very well practiced and trained. They use the systems and methods to install your lights quickly, efficiently, and without any hassles. Save yourself the time and effort it takes to put up your decorations in the cold, and let a professional take care of this chore for you. 4. Holiday Season Maintenance. The holiday season is exceptionally busy. You have office parties, kids' concerts and recitals, shopping and family gatherings to attend to. When bulbs go out or an unexpected storm ruffles your decor, give your holiday design team a call and they will come fix it. A professional team will make sure your holiday lights stay looking perfect all through the season, and take care of any maintenance tasks that come up along the way. 5. Professional Takedown and Storage. When the holidays are over and the in-laws have gone home, the last thing you want to do is deal with taking down holiday lights. Not only will a professional holiday lighting company take your lighting down for you, but they will also store them in a climate-controlled storage facility until you need it again next year. 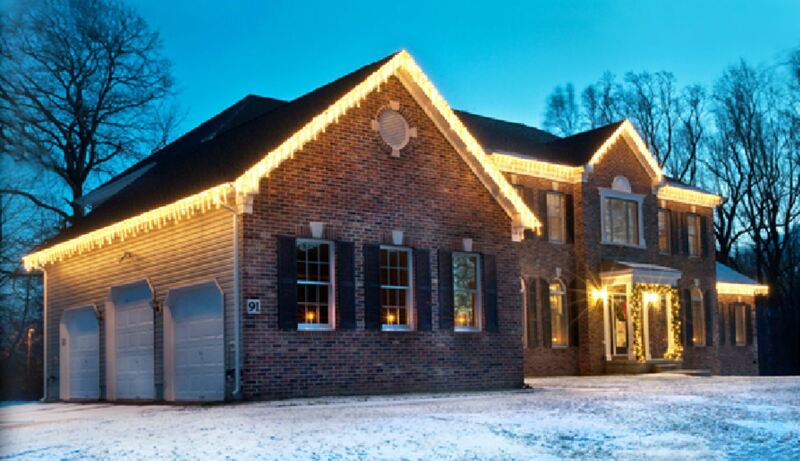 Just imagine: you won't have to reserve storage space in your garage or basement for your exterior holiday lighting. Next year, they will be back with your decorations to put them back up for you. Hiring a professional holiday lighting company significantly reduces your workload during the holiday season.